With all the modern technology in cars these days, it’s easy to forget that we still depend on good old-fashioned lead-acid batteries for accessory power. But even if you haven’t forgotten, it’s not like you can do much about that mysterious black box other than wait for it to die in an inopportune moment. Right? Wrong! In fact, there are some commonsense steps that everyone can take to care for their car batteries and help them reach their expected lifetime. Safety is a priority for us, so we’re talking simple stuff for normal drivers - let's avoid acid accidents, shall we? 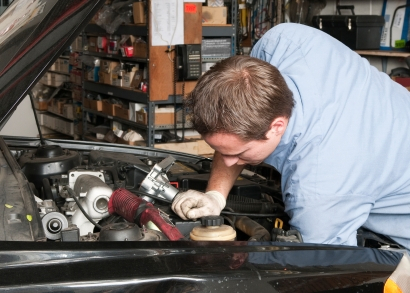 Here are 5 ways to make sure you’re doing right by your car battery. Specifically, make sure you know when it was made and how long it’s likely to last. Every car battery sold in the U.S. is stamped with the month and year of its manufacture. You’re looking for the first two characters in particular: a letter and a number. The letters, starting with “A,â€ correspond to months starting with January -- so “C,â€ for example, means March. The number is the last digit of the year, so “15â€ means 2015. Sixty months (or about five years) from the born-on date is a rough estimate for normal battery life, but many factors can shift this figure one way or the other. Still, keep that date in mind if your battery starts to show signs of depletion, such as trouble starting the car or dimming lights. If the battery is relatively new, maybe you simply need to recharge it; but if it’s been around for a number of years, you might need a replacement soon. 2. Turn your lights off when you get home! Probably the single most common cause of premature battery depletion is headlights and/or interior lights left on overnight, especially if you tend to be a regular culprit of this practice. 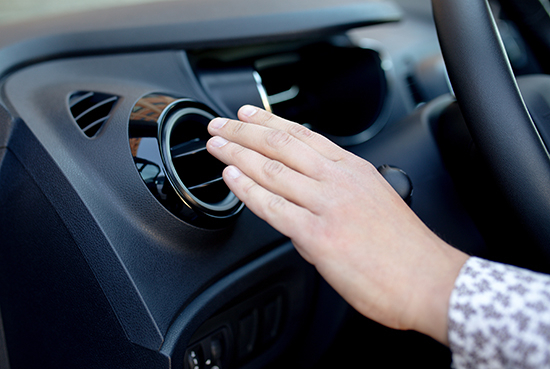 Some newer cars have auto-off functionality, but many vehicles on the road still don’t, so it’s important to be vigilant here. Sometimes the chime or other warning to let you know your headlights are on can be hard to distinguish from other sounds, like the one when you open the door with the key in the ignition. If that’s the case, we suggest getting into the habit of checking your lights whenever you turn off your car. Don’t forget to check the dome lights as well. 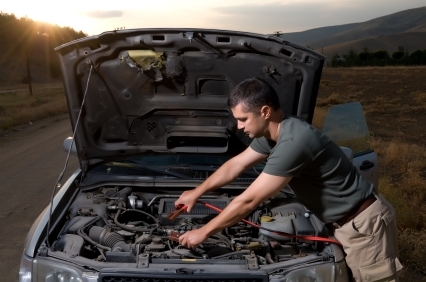 For the typical car battery, a single night with the lights on will have you begging for a jump-start in the morning. 3. Use accessories sparingly when the engine is off. Modern alternators have no problem keeping the battery charged when the motor is running, but if the motor’s off, power-hungry cabin technology can do a number on your battery in short order. A battery without the engine is kind of like a laptop without its plug: you’re on borrowed time, and the more you run that battery down, the less eager it will be to hold a full charge. Accordingly, try to limit the amount of time you spend using powered accessories with the engine off. We know it’s tempting sometimes to leave your passengers in the car with music or a movie playing, but you probably shouldn’t make a habit of it. Also, keep in mind that vehicle security systems are a constant drain on the battery when armed. As such, while it makes sense to arm the system in the shopping mall parking lot, it may not make sense to do so in your own garage, especially if you don’t drive the car every day. In low-risk situations, consider locking the car with the key instead to save your battery the trouble. The best sign that your battery’s under the weather is slow “crankingâ€ when you start your car. The usual cheery cranking noise will turn dull and lethargic; you might even find yourself wondering if the car’s going to start at all. The good news is that this doesn’t mean your battery is gone forever. You might be able to recharge it. But you shouldn’t knowingly leave your battery in a depleted state for more than a few days, because lead-acid batteries must constantly be kept near full charge to avoid a malady called “sulfated platesâ€. 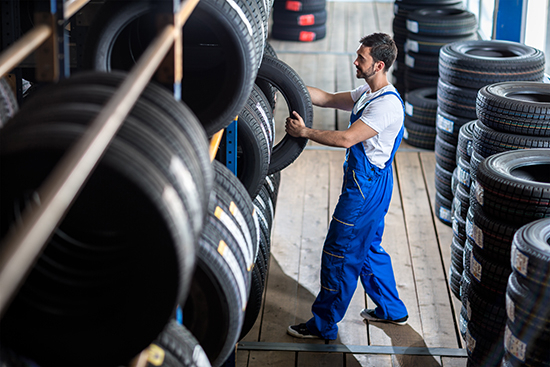 So as soon as your car starts sounding sluggish when starting, either drive it around for a good 30 minutes – which should recharge the battery automatically – or take it to the shop and ask for the battery to be tested and recharged. Subsequently, keep an eye out for further symptoms, which would indicate a need for replacement. Consider it a normal part of car maintenance, just like checking your oil: your car needs plenty of oil to run properly, and it needs a charged battery, too. 5. Disconnect or â€œtendâ€ the battery when parked long term. If you know you won’t be using your car for a few weeks, it’s advisable to give your battery a rest, too, since a small amount of current continues to flow even if the security system isn’t armed. The old-school approach entails disconnecting the negative battery cable (typically marked by a big minus sign), which certainly helps but has the undesirable side-effect of wiping out all of your electronic settings. A better idea, if you can justify the expense, is to pick up an automatic battery charger, which maintains your battery’s charge and lets you keep all those settings, too.